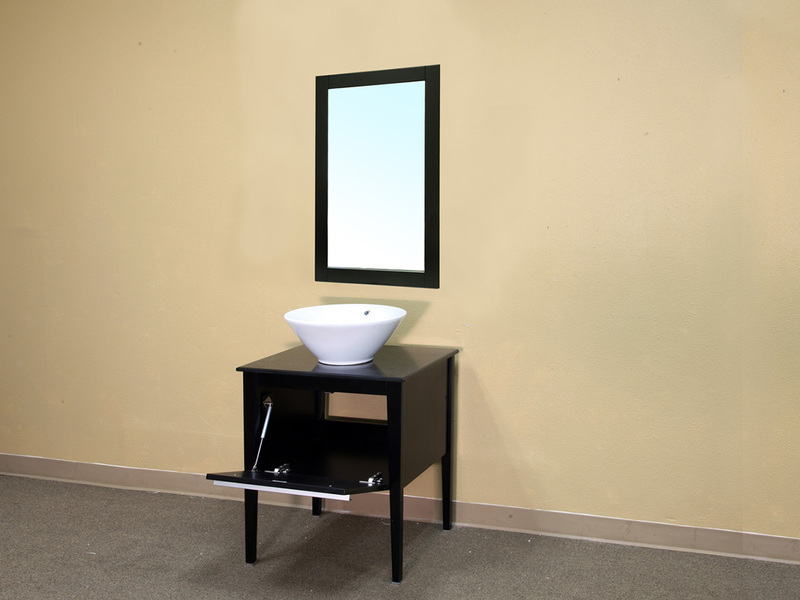 Simple and stylish, the Adra Single Vanity provides the conveniences of a modern vanity without taking up much space. 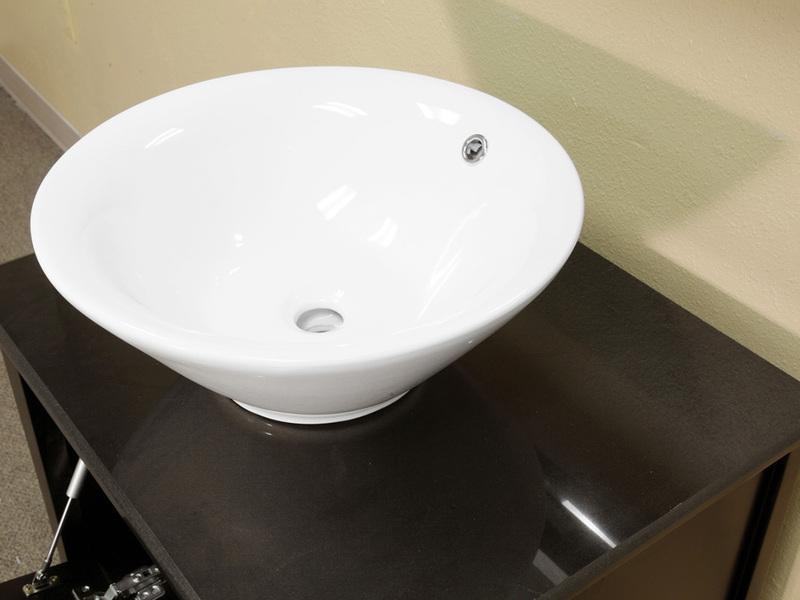 Underneath the ceramic vessel sink sits a black marble counter top with enough space for laying out soap, hand towels and other accessories. 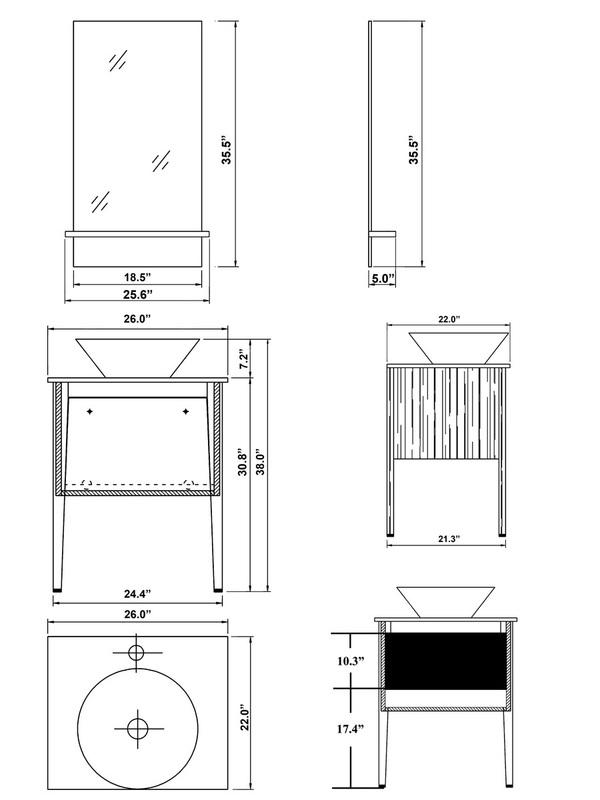 Below that is a cabinet with a pull down drawer that requires less clearance to open than traditional cabinet doors. 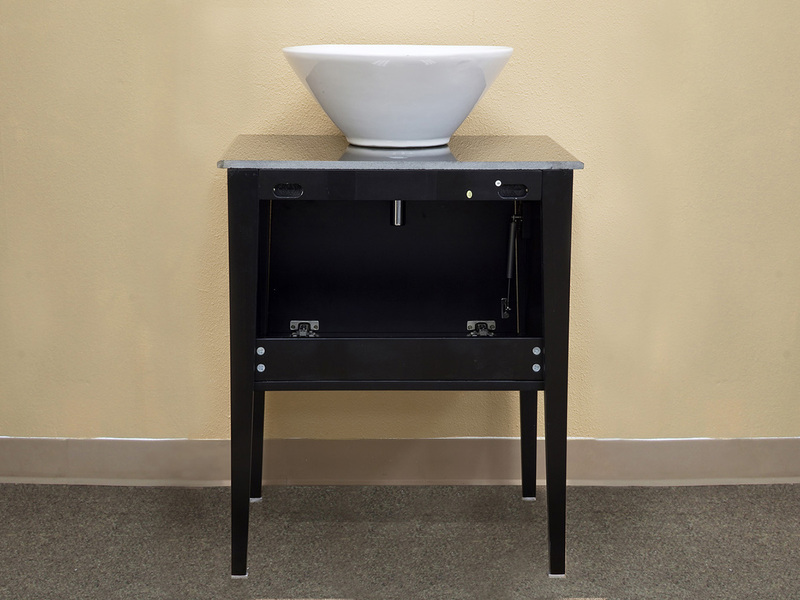 The cabinet itself is constructed from solid birch and is coated with a black finish, which means this vanity is built to hold its shape against exposure to bathroom humidity. 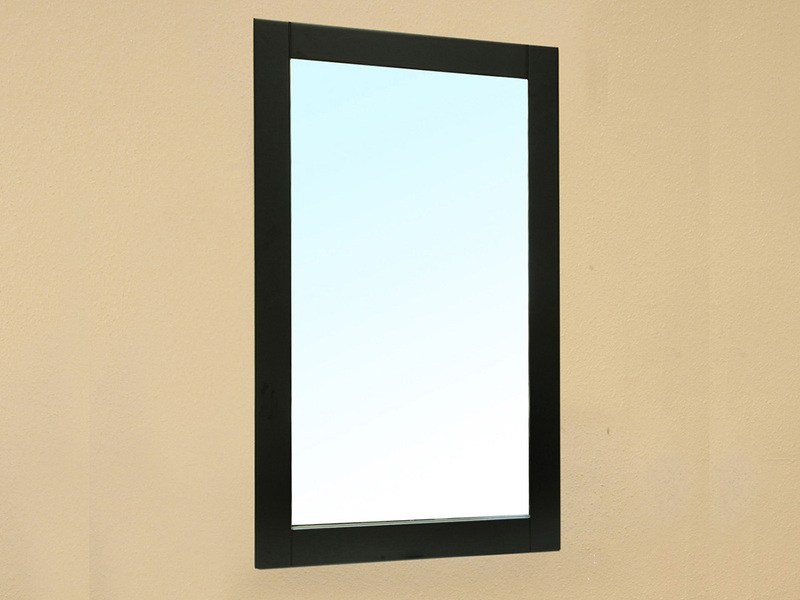 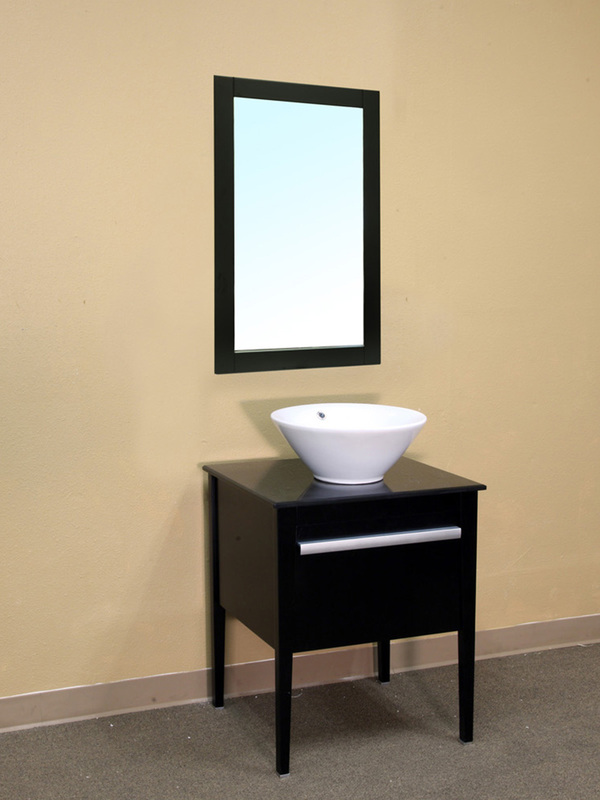 To complete this modern design, an optional mirror is available with a matching black frame.